Start taking classes at Finish Line PT and other studios! 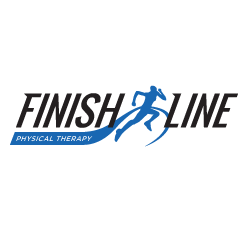 Finish Line PT encompasses all forms of functional physical therapy. Their specialty is working with athletes of all levels. Whether you’re a first-time runner looking to complete a 5K or a triathlete training for an Ironman; they have the perfect training regimen for you. Join one of their sessions and you'll be sure to elevate your athleticism in ways you could never imagine. Use the door code 2711 when entering the building before 9am and after 5pm. Running shoes are required for the AlterG Anti-Gravity Treadmill. Workout gear is suggested for the AlterG Anti-Gravity Treadmill, however, they can provide t-shirts and shorts if you happen to forget them. It is suggested that those using the compression sleeves wear shorts or spandex to experience the benefits of the air compression system. Finish Line has cubbies for your belongings. Finish Line Physical Therapy is located on the third floor of 119 W. 23rd Street in Suite #304. If participants arrive before 9am or after 4:30pm, the front door code is 2711. Really friendly staff! Make sure you ask for the hip piece as well!! Great staff at Finish Line and an awesome recovery tool. Made my sore legs feel better. Friendly staff. Beautiful facility and amazing space-age machine. It was so great to be able to run again after having to take the last few weeks off to rest an injured knee. Incredibly, the treadmill lets you increase the amount of air it produces so that you can actually set exactly what percentage of your body weight you want to support. I started out setting it to 65% and worked up to 74%. I was thrilled to be able to do a full half hour run at pace with speed intervals, just as if I were running as usual...only without hurting my knee. Only hitch was that I wore long running pants that got pretty toasty in the neoprene shorts the machine requires you to wear over your kit. Lesson learned: definitely better to wear light running shorts on the antigravity treadmill. I’m recovering from an injury and was delighted to have this tool to help me get back to running. The facility is really nice as well!